Growing up in Quebec City, with parents from Mexico and Paraguay, the musician known as Boogát has always dealt with multiple identities. So it’s no surprise that his music brings together several sounds—French-Canadian and American hip hop, mixed with Latin influences—to become something entirely new. As the only Latin kid in school, Boogát spent a lot of time with the kids in his neighborhood whose parents were also immigrants—from Africa, Haiti, Cambodia, and more—and his musical journey began while skateboarding and sharing tapes with his neighborhood friends. “Rap was coming around in the skateboarding movies and at some point, I just jumped on rap and I really liked it,” he said. “Hip hop in Quebec came from all the Haitian and African immigrants, who had cousins in New York, L.A., Paris, and after every vacation they came back with more tapes.” While these musical styles were a bit more underground in Canada at the time, it didn’t stop Boogát from rapping himself and eventually producing music using his parents’ collection. “The first time I rapped,” he said, “I knew that was it. It was a really weird feeling. You’re always looking for what works for you and where your place is in the universe. And right then I was like, ‘yeah, this could be it.’” As he started his career, Boogát said he was influenced by MC Solaar’s Pros Combat, as well as American rappers like The Notorious B.I.G. and Nas. But when he started producing and sampling his parents’ records, the Latin American influences were natural and set him apart. “I was mixing Latin American stuff with the hip hop generation sound, but I didn’t quite understand it,” he said. “Both on the beats side and on the lyrics side, it was some artistic weirdness. It went well for me in French, but something wasn’t clicking.” While he was mostly performing and rapping in French, he would create at least one song per project in Spanish—and those were the tracks that caught on. Bands started to reach out to collaborate, including heavy metal and rock groups, and they always asked him to perform in Spanish. “Nah, we don’t want any of your French lyrics,” Boogát recalled with a laugh. “We want you to do it in Spanish. It’s cooler in Spanish!” But that meant that Boogát had to get more in touch with his Latin roots, including perfecting his Spanish. So he started traveling to Mexico more often, and writing more in Spanish. But he was still writing about Mexico while living in Canada, and he wasn’t sure where or how his work would catch on. Right about this time, Boogát and his wife decided to live in Mexico for a year—and that’s where he wrote and recorded much of his 2017 album, San Cristóbal Baile Inn. 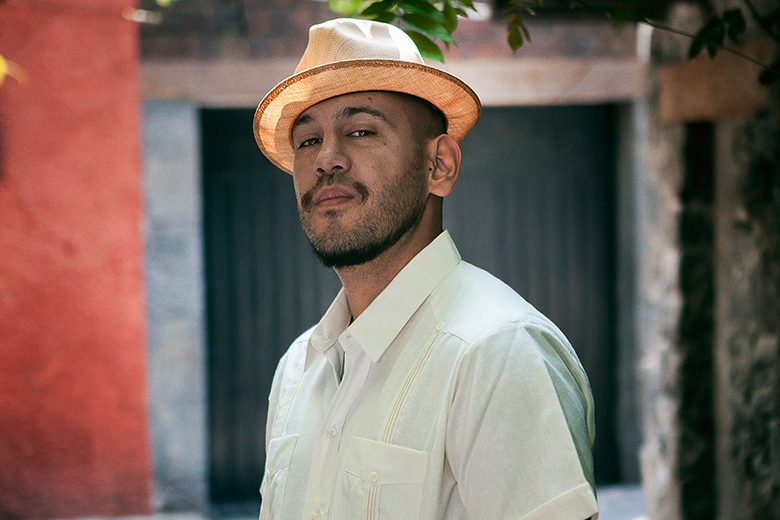 Featuring songs about mezcal, neighborhoods in Mexico City, and immigration, this album allowed him to discover a lot about himself, his family history, and the way people live in Mexico and around the world. Boogát is excited to be at BRIC House Sessions, because he’ll be performing a lot of songs from this new album that he hasn’t yet played in New York. He’ll also be performing with a full band—guitar, trombone, percussion—which is also a departure from past New York shows, where it was a duo or just him performing with a DJ. Plus, the Canadian hip hop connection is strong; he’ll be performing alongside fellow Canadian Waahli—a musician who he has known for years. Boogát and Waahli perform at BRIC House Sessions on Thursday, February 21, with an opening DJ set by DJ Bembona. Get your tickets today!